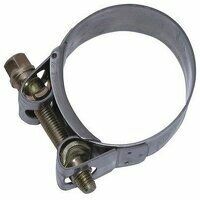 Please search below at our range of stainless steel heavy duty bolt type hose clips. We offer a great variety of sizes at fantastic prices. Next day delivery available.